In a final hearing which took place last week, Mrs Justice Theis returned a child to her parents, after being in care we presume, for over a year and a half, since birth. The parents were exonerated of child abuse, relating to their first son who died tragically of a vitamin D deficiency when only a few months old. 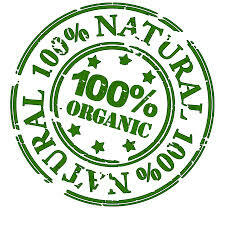 The ruling highlights the need for medical practitioners to avoid presuming too much. It also highlights the importance of legal aid, which was a factor in the case, which allowed the family to have the evidence which was used to take their daughter away from them, tested. The judgment also raises another very important cultural and political problem within family law – that of the entrenched policy of not returning children when wrongfully taken. We have only skimmed through the judgment this morning and found no mention of whether their daughter was placed in care or adopted, but we feel the principle should be the same: any child wrongfully taken from parents should be returned, notwithstanding any extraordinary circumstances. At the moment, it seems to us at least, that the law is quite back to front on this point. We hope this case will impact on other cases where medical evidence has been poor and families have been wrongfully torn apart. We also noted that the use of modern technology was a feature of the case, with electronic documents flying around, making life much easier for everyone. Welcome to the 21st Century, Family Courts and…… a hearty happy smile from us all here at Researching Reform to Mrs Justice Theis who is our Judge of the Week, for her courage and her foresight to make things right. 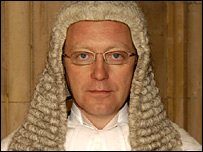 Judge of the Week: Who is Mr Justice Ryder? Mr Justice Ryder has been appointed as the judge who will oversee the modernisation of the family justice system, but who is he and what are his views on the system? Mr Ernest, Nigel Ryder embarked upon his professional life as a merchant banker in 1979 and was called to the Bar in 1981, later becoming a QC in 1997. He went on to serve as a deputy judge of the High Court in 2001 until 2004 and became a judge of the High Court (Family Division) in 2004. Mr Justice Ryder is also currently the presiding judge for the Northern Circuit and was involved in the preparation of the Public Law outline in 2007. But what does Mr Justice Ryder think about the family justice system? Will he be another closed mind or a cerebral rebel? His biography is certainly encouraging; he cites listening as one of his favourite past times and he is also a co-author of what we understand to be the leading text-book on children in public family law matters, “Clarke Hall and Morrison on Children (ed), Child Care Management Practice (2009)”. And his views on the family justice system seem refreshingly lucid and honest. In 2008, he went on record saying that the system needed an overhaul, that it was out of touch with society and that he was an advocate of giving judgments in public. In that same year, Mr Justice Ryder also went on to a deliver a speech at the Conkerton Memorial Lecture, in which he expressed some endearingly controversial views. Amongst them were a desire to see the system become more open to accepting diverse forms of ways of life, an increased flexibility within the system in relation to how it works and a less heavy hand when it comes to state interference. We are falling in love with this judge already. Sometimes, we don’t see the greatest advances coming. Mr Justice Ryder may just be exactly what the system needs to bring it back to life. So, for his spark and his insight and what we can only assume is a forthright quality which is not short of brilliance, Researching Reform awards Judge of the Week to Mr Ryder. This is perhaps a land mark moment for Researching Reform, in so much as we had always watched the Voice of the Child Sub-Group almost-but-not-quite get there in relation to past endeavours relating to children, but by jove, they’ve only gone and done it this time and our admiration of Judge Crichton (who has recently won an award for successfully implementing a Family Drug and Alcohol Court designed to help parents with addictions and keep families together) has grown immensely as a result. What are we blithering on about? Well, in a report which came out today, the Office of the Children’s Commissioner has submitted their absolutely fantastic and super consultation to the Family Justice Review after they too published their own interim report. But what does this have to do with our Judge of the Week, we hear you ask? Judge Crichton is the Chair for the Voice of the Child Sub-Group and it was this Group which asked the OCC to carry out this consultation. It is quite one of the best consultations we have seen. 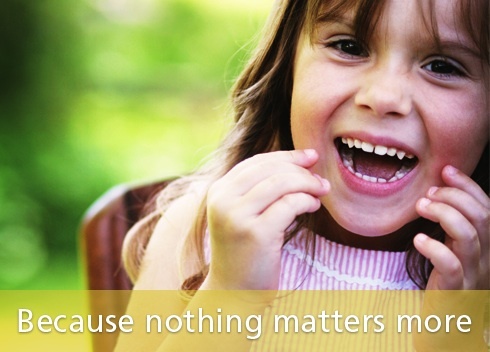 It is to the point, takes into account the most important aspects of child welfare inside the family courts and most wonderfully of all, allows children who have all found themselves in the family courts, from as young as three, to express themselves and explain why the system is not working for them. 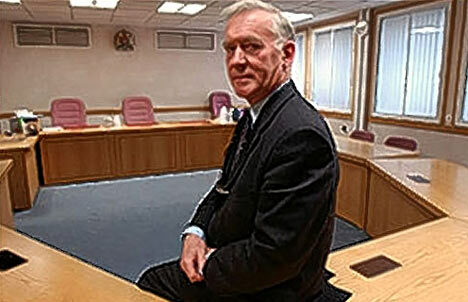 For such an inspiring act of bravery and ingenuity, District Judge Crichton is Researching Reform’s Judge of the Week. Judge of the Week: Guess Who? It’s no secret that at Researching Reform our favourite family judge is Lady Hale for she never disappoints and this week she has done it again – she is, once more, our Judge of the Week. In her speech at the Sir Henry Hodge Memorial Lecture, Lady Hale highlighted the severe impact the proposed legal aid cuts will have on the most vulnerable members of society and equally significantly, observes that the cuts will not only alienate those who need the most help but create a feeling of disillusionment which will eventually translate into widespread apathy for the law and all who work with it. Her controversial speech goes directly against the government’s current plans to drastically curb legal aid and so her courage to speak her mind and highlight some of the deeper cultural problems with the legal aid cuts is why Lady Hale is our Judge of the Week. Our family justice system may not be in good shape right now but if we continue to chip away at it, evolution and revolution of the system will most certainly suffer insurmountable set backs and make positive change impossible. 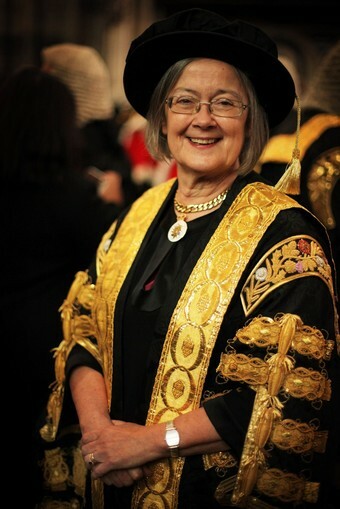 In a complex case called R. AND H. v. THE UNITED KINGDOM, involving several children and a parent who continues to battle alcoholism (but with varying and often high degrees of success), Baroness Hale continues to stand out as a judge with innate common sense and a positive understanding of the law (if we may say so) as well as an obvious passion for children, a quality not readily discernible in many of our family judges nor amongst other professionals in the field. The case essentially revolves around a complaint made by biological parents that their rights under Article 8 had been breached by virtue of a freeing order being made and contact being severed between them and their child and that it was wrong for a freeing order to be made before an adoption order had been granted. 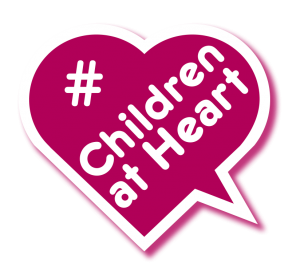 At its heart lay the various presumptions being made by overseeing authorities including the parents’ reactions to an adoption order (which would impact on the decision to sever contact) and the very delicate balance between parental contact and the welfare of the child. “In taking the view that the applicants could frustrate an adoption by behaving so badly that no-one would agree to post-adoption contact, the trial judge had placed undue weight on an irrelevant consideration when deciding that the parents were unreasonably withholding their consent. The evidence was very clear that contact would only be in the best interests of the child if the applicants behaved well and did not use it to undermine the placement. The applicants had not sought to use their contact to undermine N’s placement. Nor, despite the view which he had formed of the desirability of post adoption contact, did the trial judge consider whether the court could, at that stage, promote this, for example by preserving the parents’ position after a freeing order”. A very good synopsis of this case can be found on 1 Crown Office Row’s website, written by Rosalind English and whilst Researching Reform tends to agree with the dissenting views of Baroness Hale and Judge Kaladyieva, the summary is excellent and offers a well-rounded perspective of the issues. The vacuum Baroness Hale touches upon, is the elephant in the room. For making that elephant visible, Researching Reform makes Baroness Hale our Judge of the Week. 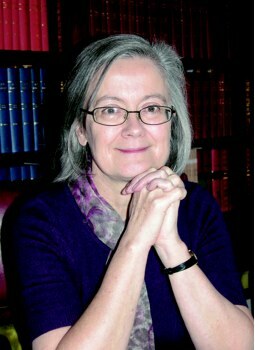 Researching Reform has always followed Baroness Hale’s work with great interest. Her involvement in family law is well documented and she is, in our opinion, by far and away one of the most compassionate and feeling judges to date: that she is truly ‘alive’ to life and law is without a doubt what makes her so unique and so worthy of admiration. Her latest professional development sees her and other justices in the Supreme Court, hand down a landmark human rights ruling, once again driving forward new and unchartered territory to put family first. What is so startling about this new precedent (other than from a pure human rights law perspective) is that it encompasses the welfare of the child principles in a way which mirrors the Children Act’s own perspective on the matter and somehow lends itself to the implicit feeling that the voice of the child is slowly coming to the fore, exactly where it matters – any field involving family, which by accounts one could say is almost all, with the exception of very few. The case involves a mother who lied about her nationality to seek to stay in England and who had two children by an Englishman. These two children had grown up in England and had a British father whom they had a relationship with, and deportation may have meant that the children would have had to leave with the mother or stay with the father, who had HIV and alcohol problems. Using unconventional language for a human rights case, language which might have been more at home in a family court judgment, Baroness Hale explains, “Immigration authorities must be prepared at least to consider hearing directly from a child who wishes to express a view and is old enough to do so”. However, there are subtleties to this judgment; it is not a blanket acceptance of one sentiment or another for it does weigh up the realities of immigration on the ground, but it is an important step forward in realising that family is the building block of any society and if we choose to uphold the most noble values at any one time, then keeping families together has to be top of that list. For her subtlety and strength of mind, Researching Reform awards Judge of the Week to Baroness Hale and in equal measure to all the judges sitting on the case. You can read the press summary and the full judgment here. This incredible story, which was brought to my attention through Justia (many thanks for posting this), is not in fact from our shores. Justice Elizabeth Weaver, an American judge at the Michigan Supreme Court, decided to expose the less than ethical practices which she witnessed during internal court deliberations at the Supreme Court, secretly recording the meetings. Although Justice Weaver has since resigned, a move designed to quiet her critics (who accuse her of breaking the law and who are now trying to censure her) and deftly sway the political pendulum, she plans to continue exposing the flaws in the Michigan Supreme Court by releasing more transcripts of the meetings, which she says she is within her rights to do under her right to freedom of speech. During her sixteen years on the Michigan Supreme Court, Justice Weaver tried to make the court process fairer and more transparent as she was concerned that the court was too driven by “special interests [and] partisan and personal agendas.” Despite being roughly handled by some of the disgruntled judges who are cited in the recordings, Justice Weaver remains unphased. She has since released a written response to the censure in which she confirms that she plans to release more transcripts. And her biography is equally as astounding. Amongst her many years of experience, she cites exercising judicial restraint and common sense as the foundations upon which her professional track record has been built. Justice Weaver’s vision for a successful court also includes holding “wrongdoers accountable and responsible for their actions, while providing opportunities for them to discover and develop their own self worth and to become law-abiding, productive citizens”. The cherry on the cake? Justice Weaver does not believe that judges should be law makers: instead, she says, she has used the responsibility of interpretation, not as a sword to superimpose her own personal views (or those of special interest groups) on the law but as a shield to protect the constitutional rights of the people and the constitutional acts of the legislative and executive branches”. If our family justice system had just a little more of that juice, we could fly. So, for her courage and tenacity, my judge of the week has to be Justice Elizabeth Weaver. As the courts commendably move to try to put themselves in the place of the family members that come before it, Lord Justice Sedley does the extraordinary and highlights the significance of allowing the Voice of the Child its full clarity, in a case last week. Credit must also go to the savvy social worker who assessed the little chap and came to the same conclusion as Lord Justice Sedley. For understanding the importance of listening to little people and using sound common sense to come to a solution, albeit a saddening one for both the mother and son in this case and one which places an emphasis on respecting young people’s feelings and the need to allow those feelings to be worked through without coercion, Researching Reform makes Lord Justice Sedley, Judge of the Week. This will no doubt cause ripples amongst certain communities here and invite heated debate over the future of any further development of religious courts in Britain, which Researching Reform is not an advocate of. Since his appointment, Sir Nicholas has not been shy to tackle the many and varied misconceptions the family courts have harboured for some time and his latest bout of honesty further cements his reputation as an earnest President and a radical judge…. fabulous! As always, a balance needs to be had; whilst it may be a positive move to involve the criminal courts more in order to understand certain aspects of domestic abuse and legislate upon the findings, it would be prudent, to my mind, to ensure that over-reactions do not take place and that we do not stray into over-sensitive territory which sees perfectly good parents lose their children. Nevertheless, Sir Wall’s desire to increase the field of learning in domestic abuse is a bold and brave move forward and for these reasons, Sir Nicholas Wall is Researching Reform’s Judge of the Week. This week, Researching Reform awards Judge of the Week to lord Justice Munby, for his outstanding speech recently given at the Hershman-Levy Memorial Lecture. In his speech, Lord Justice Munby asks us to consider a radical approach, with judgments not just from the High Court but County Courts all over the country being made publicly available as well as making access to our courts more tangible, in a real and meaningful way, without jeopardising the welfare of the child. Lord Justice Munby’s courage and forward thinking is why he is my Judge of the Week. You can read the full speech on the ALC’s website.